Severstal's necessity to develop a new steel grade is due to the peculiarities of current oil development technology in Russian oil fields. Existing oil field pipes operate in conditions of constant contact with the corrosive water-emulsion mixture of oil and concentrated salt solutions. This leads to short operation periods (about 2 years) and unpredictable accidents which are often accompanied by the pollution of large swaths of surrounding areas. NUST MISIS scientists have proposed an innovative technology for the production of rolled steel to manufacture corrosion-resistant field pipes with improved mechanical characteristics. The new steel grade "SeverCorr" will significantly reduce environmental risks and the operating costs of oil extraction, including in the hard-to-reach fields of Western Siberia, where repairing and replacing pipes is complicated by the conditions of their delivery and the necessary composition of hydrocarbons that lead to an increased level of corrosive wear. "The new technology of rolled steel production for the manufacturing of straight-seam oilfield pipes provides them with increased corrosion resistance and cold resistance. The development of new alloying schemes (adding impurities to the composition of the materials to improve the properties of the base material) and providing the necessary structural and phase steel composition to the production of rolled and sheet metal has become our main task", said Alexander Komissarov, one of the developers and a NUST MISIS research associate. As part of the project, several promising steel concepts have been developed. 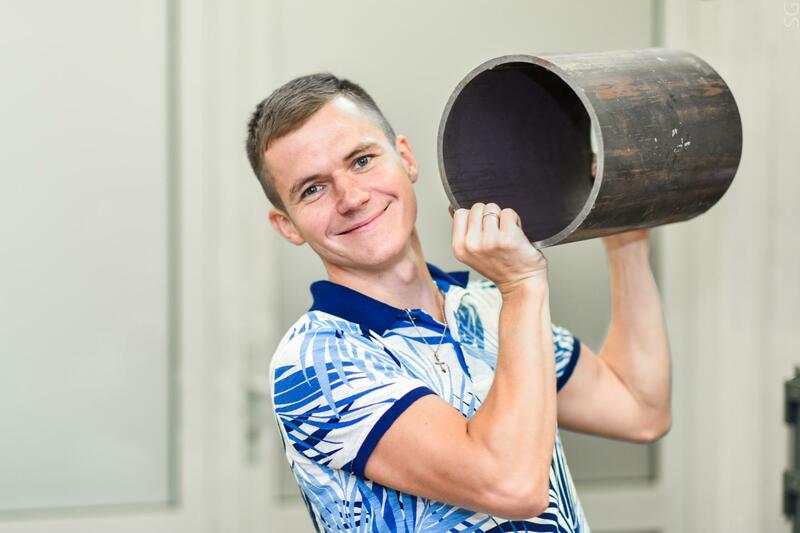 A series of both experimental melting and smelting of an experimental batch at the Severstal enterprises have already been conducted, and the "SeverCorr" samples passed the corrosion tests with flying colors. Full-scale pilot tests of the new steel pipeline at the West Siberian oil fields of Lukoil, Gazprom Neft, and Irkutsk Oil Company are being prepared for launch. The results of lab tests have shown that the scientists have indeed discovered a solution to the seemingly contradictory task. We have prepared the samples of SeverCorr pipes to conduct pilot tests and confirm the enhanced corrosion resistance of a new brand in comparison with analogues in oil fields around the world. Real-world tests will allow us to confirm the new steel's high performance and to offer customers a unique solution to this problem.